These first three games are ones that I made. The rest are by other people. In Kudzu, you find yourself in a strange place after an ill-fated parachute jump. There are two files here because I released two versions of this game--the original in 1997 and an extended version with a new ending in 1999. I wasn't entirely happy with the original ending, but I don't think that the new ending was an improvement. I'll leave the choice up to you. 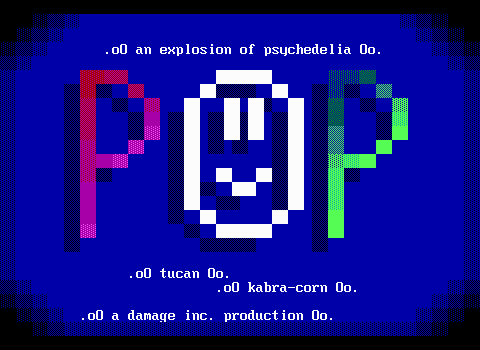 Turmoil was my second and longest ZZT offering. It involves the crew of the space station Plecostamus who, under the leadership of their onboard computer, Boris, have adventures in space. 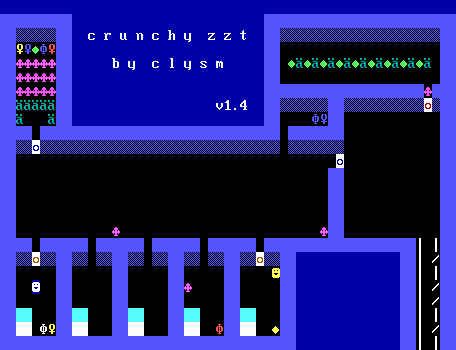 Crunchy was my first ZZT creation. In it, a former spy with amnesia is thrown into a conflict with no idea what's going on. Just as I had no idea what I was doing while making the game. 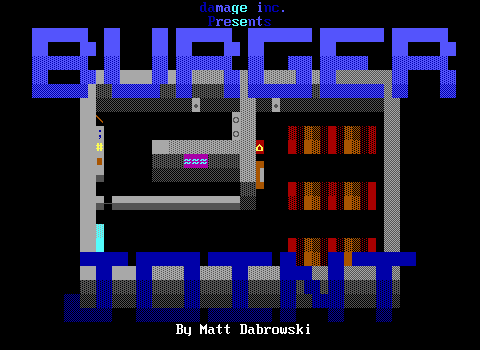 Burger Joint is a fast food restaurant simulation. 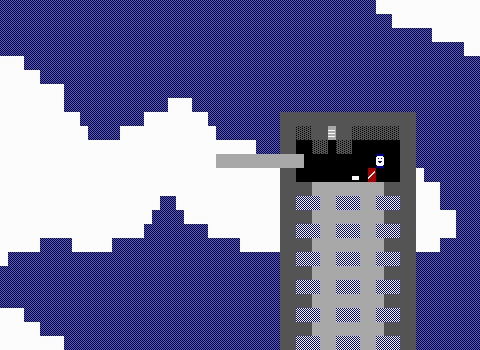 The game consists of a series of puzzles involving Johnny, a new employee, and is one of the most humorous ZZT titles that I know of. 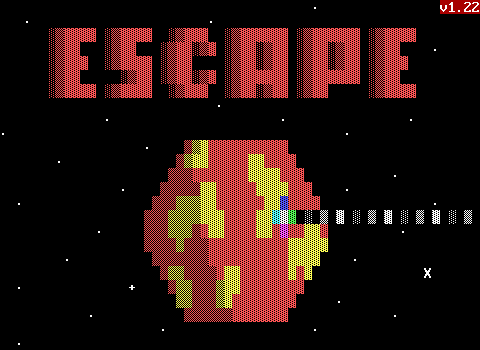 Escape From Planet Red is one of the first ZZT games I ever played, and it inspired me to try making games myself. It's the story of a lone survivor of a space ship crash. You can probably figure out the rest from the title. Lebensraum is an action game patterned after Castle Wolfenstein. It seems to be sort of a hybrid of the original Castle Wolfenstein and Wolfenstein 3D. If you like to roam corridors and shoot things, try this game. Link's Adventure is, of course, based on Nintendo's Legend of Zelda series. These are older games that give you a long quest full of simple yet fun action. This ZIP file contains all three games in the series. Llama Masters involves a team of some sort that travels to different places to defeat large enemies and report back to their leader, just to be sent out again. Lots of strange dialogue and some clever ideas, not to mention a salad. If it's not obvious, Llama Masters 2 was my inspiration for Turmoil. This ZIP file contains both Llama Masters games. Merbotia is one of the first games I found that inspired me to try making my own. Pop is a unique game full of surreal settings and colorful artwork. 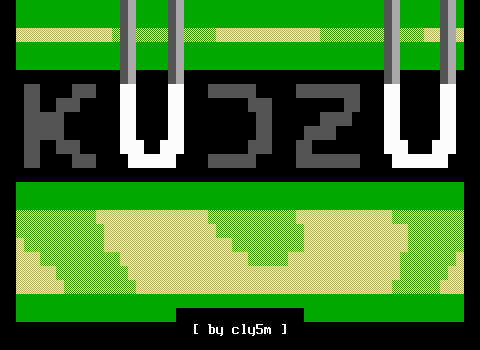 It makes reference to one of my games, Kudzu, but that's not why I include it here. 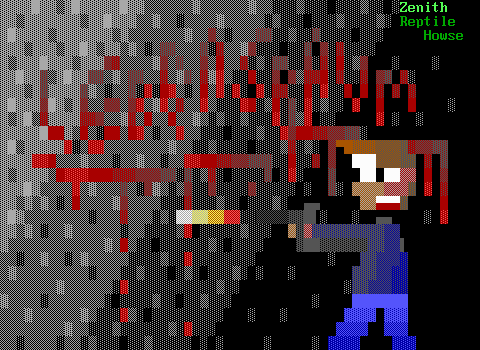 It's an excellent ZZT world by any standard. 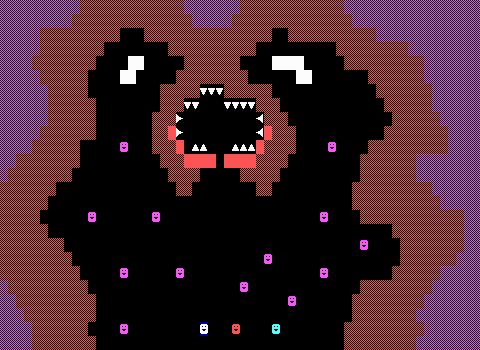 Nightmare is a fun game with some pretty clever puzzles. 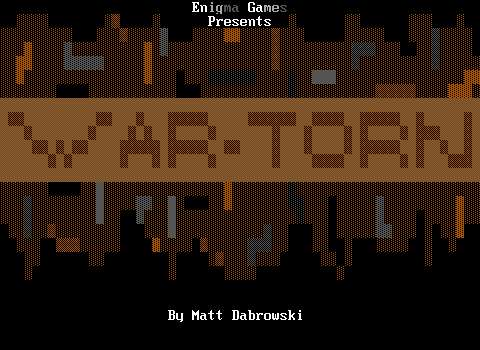 Warlord's Temple is a short fantasy adventure game by the creator of coolness (71.8k). 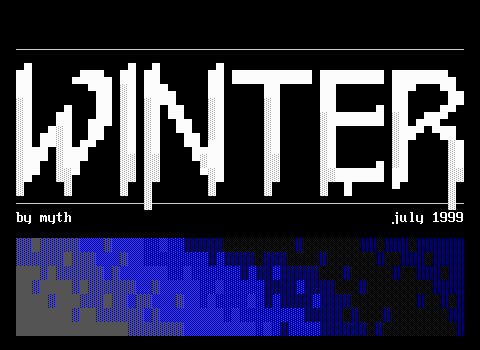 It features impressive techniques in graphics and programming, and is allegedly the final ZZT offering of spectrum12. War-Torn is an adventure game with RPG elements in a post-apocalyptic world. It has an interesting story and good cut-scenes. You might also like Nextgame 33 (101.76k), Madguy's unfinished but playable final game. Winter is the story of a daydreamer in a world of contrasting landscapes. Myth uses symbols and sensory clues rather than text to help the player solve puzzles. Zem is based on the 1991 Psygnosis game Lemmings. 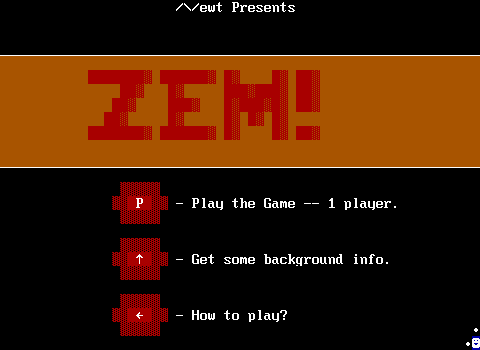 This ZIP file also contains Zem 2, which has an improved interface and various commands to choose from while helping Zem not to die. 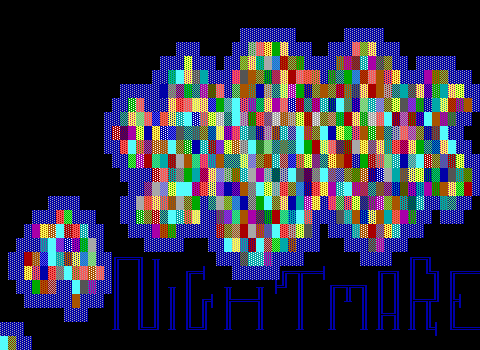 There are many other quality ZZT games, but I'm too lazy to add them now. If you want more, try Z2. They have just about all of them.